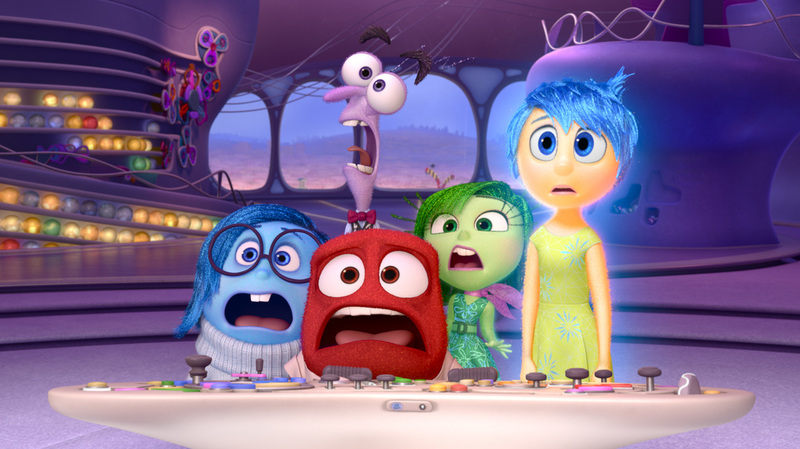 This a movie review of INSIDE OUT. 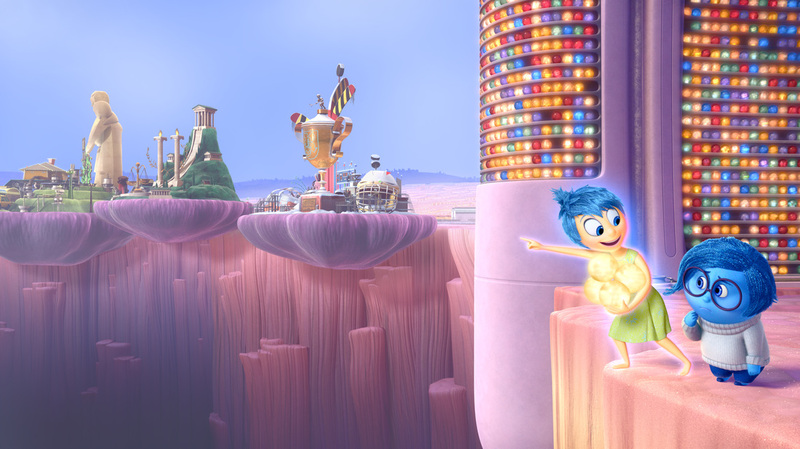 An adventure set in the mind, peak Pixar-style. As with INCEPTION, it is wonderful to see a movie with gumption tackle the brain in an exciting way. 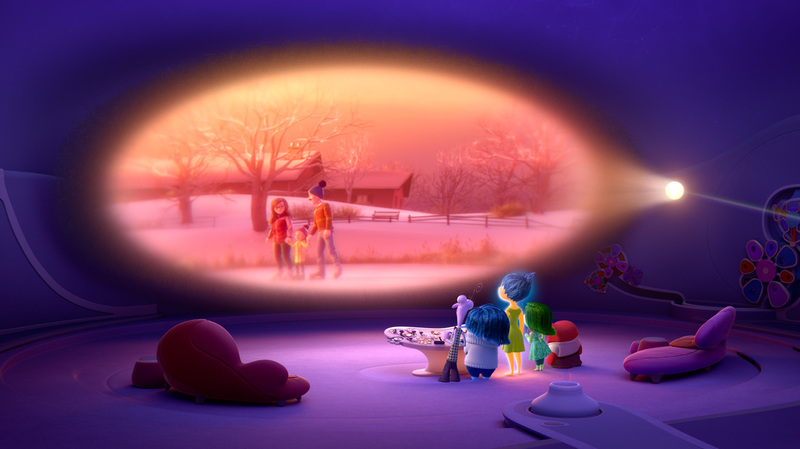 Both INSIDE OUT and Christopher Nolan’s blockbuster quickly world build and then immerse the audience. However, where the Leonardo DiCaprio starrer allowed the ideas of the mechanics of the mind to be subsumed by James Bond-esque action sequences, the Pixar studio endeavour never *ahem* forgets to continually make observations about the mysteries of our mental processes. There, among the jokes and emotionality, is what all grand escapade cinema needs to provide: Stakes. The very psyche of lead, Riley Anderson (Kaitlyn Dias), comes into peril. 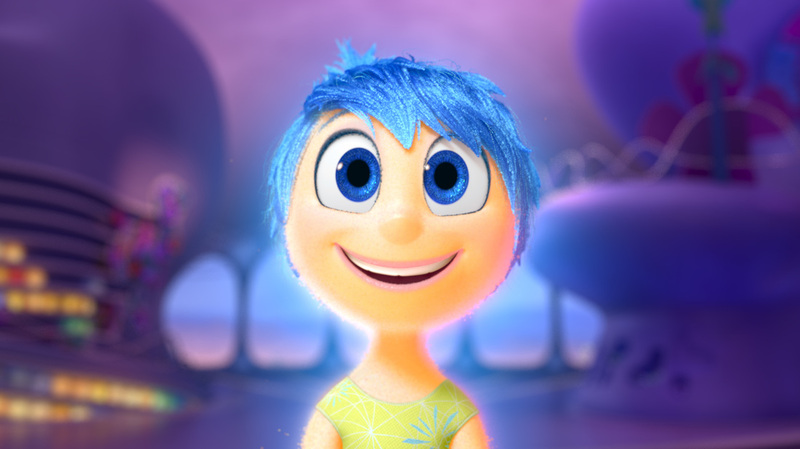 Riley is born, and as her consciousness snaps into existence so does her first emotion: Joy (Amy Poehler – channelling her ‘Parks and Recreation’ TV show positivity). Golden, bubbles emanating off her skin, she is inside our heroine’s mind at a simple control, touching it elicits a smile. Then all of a sudden Riley starts crying. Appearing next to Joy is the blue, bespectacled, Sadness (Phyllis Smith - an at-first-annoying-but-then-wonderful-character creation comes into filmic existence). 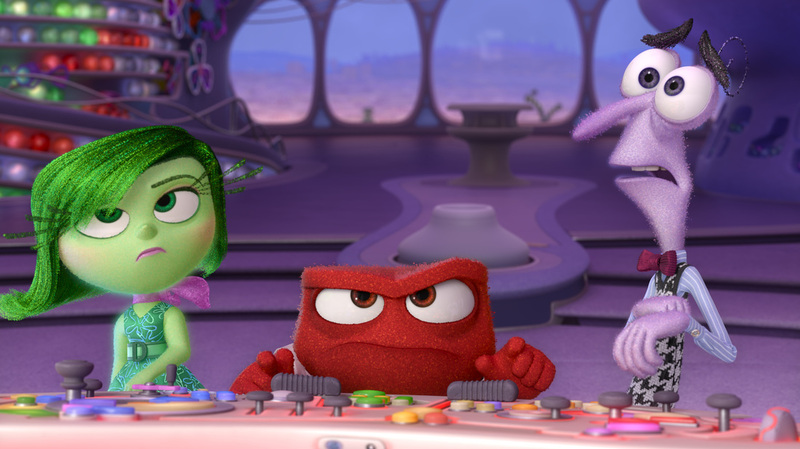 The control that Joy and Sadness politely tussle over is a simple button, which over time gets more and more sophisticated, becoming a console, where the other three main emotions join: Fear (Bill Hader), Anger (Lewis Black) and Disgust (Mindy Kaling). Ostensibly simplistic, think of them as the primary colours that go on to create a dynamic palette. Each night the globes are archived. Some are so important they achieve “core memory” status and are stored in a special unit. Joy prides herself on the core being entirely of her hue. They have formed islands leading from HQ, birthing the personality: Family island, friendship island, honesty island, etc. Further back to the horizon is where the long-term memories are housed, curving into the distance – representing the folds of the cortex. Neat design, right? 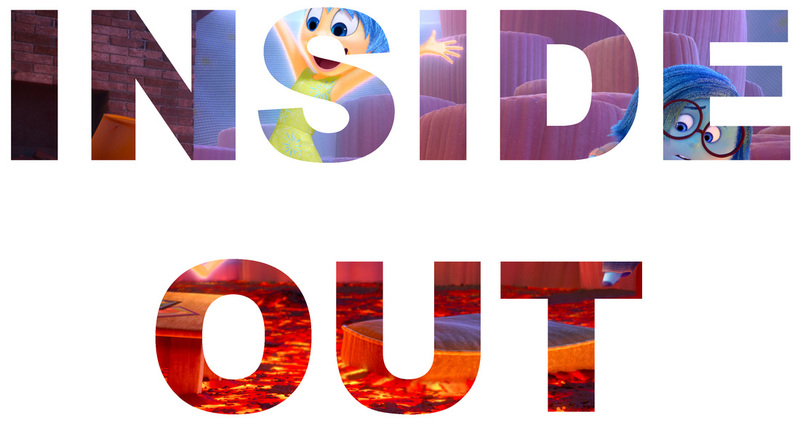 From throwaway lines to doozy observations, INSIDE OUT is a work that will require multiple viewings. And that will not be a chore. From having Riley’s mother (Diane Lane) have her dominant emotion be Sadness and her father’s (Kyle MacLachlan) be anger, to a joke about how opinions and facts get mixed up in our thoughts, the film has an originality and a seemingly endless inventiveness. Joy runs Riley’s show, but routine goes out of the window when the Anderson family move from Minnesota to San Francisco because of paterfamilias’ job. The transition is a catalyst for a disaster for the emotions and Riley’s well-being. Thrust into the vastness of the brain, Joy and Sadness have a race against the clock to save the lead’s personality. 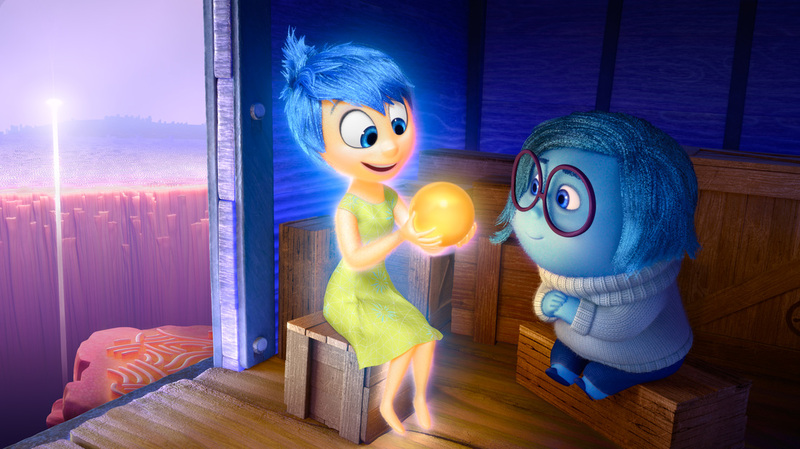 We as humans arguably strive for the hopeful, and Joy’s narrative dominance is unsurprising; but what is, is the role of Sadness and the relationship with elation. 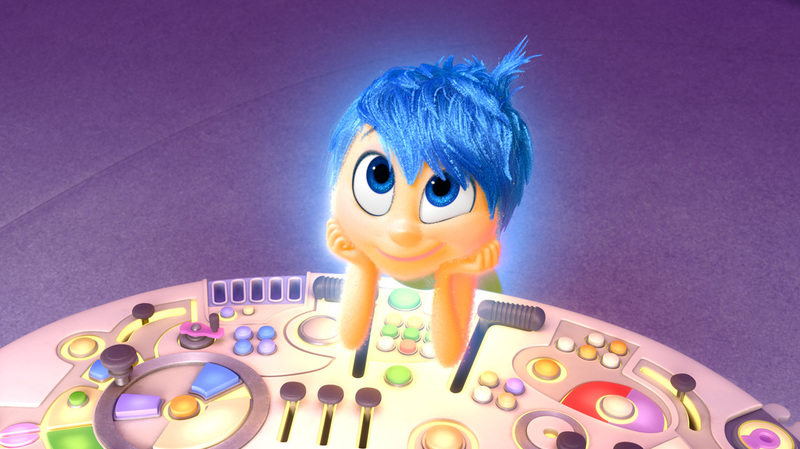 INSIDE OUT is an animated film up there with the inventive and wrenching ETERNAL SUNSHINE OF THE SPOTLESS MIND.